A cartoon Fae copied and painted for a Taiwanese friend, Hui Ming, to use for a history lesson she was teaching at an after school program for disadvantaged children. During my time teaching in Taiwan, one delightful aspect has been having the opportunity to use creativity and art to connect with my students. “A picture is worth a thousand words” is a saying for a reason, and even when I lack common language to communicate with the Chinese and Taiwanese speakers around me colors, drawing, and pictures can do the talking for me. As a young girl, I listened to stories of mission work in different countries, or of historically well-known figures such as Gladys Aylward. I wanted to go out and be part of something beyond my own country, but I had the impression that the only people who could really do this were people who had advanced degrees and skills, such as pastors, Doctors, translators, and so on. Coming to Taiwan has changed this perspective. 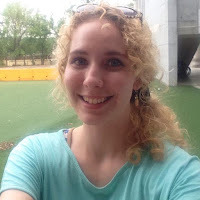 Our volunteers come to Taiwan with a broad range of skills and interests, and I have seen God use those diverse skills and interests to help the volunteers connect with and love our students and Taiwanese friends. I have also experienced the benefits that having people with widely different talents and personalities together on our teams. Each teacher is able to bring their unique perspective and abilities to strengthen the team, and also help to cover and support each other in areas of weakness. My old view of who God would or wouldn’t use in missions used to add to my sense of discontent with my own personality. I looked down on my creative talents as useless and stupid when compared to the intellectual and academic achievements that I struggled to find success in. Now, I am finding these lies fading away as I learn to be grateful for the daily opportunities I have to use art with the children. My “useless” talents – the ones I disregarded as impractical and worthless – are my strength and opportunity to give. 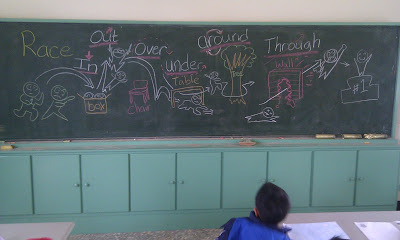 One of Fae’s lessons on the chalkboard after a class on prepositions. 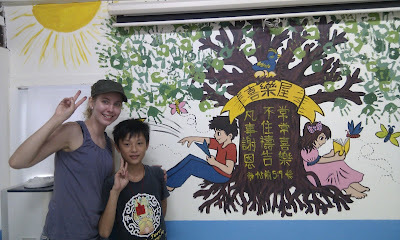 Fae standing with Ken, a child who regularly comes to the Joy House Children’s ministry, by a mural I painted for their activity center. The leaves on the tree are made up of hand-prints from the children who have come to play games, do crafts, and hear Bible stories at Joy House each Saturday in Chiayi county. Children from Joy House standing by pictures Fae drew while telling the Nativity story during Christmas last year. Fae is from Minnesota. 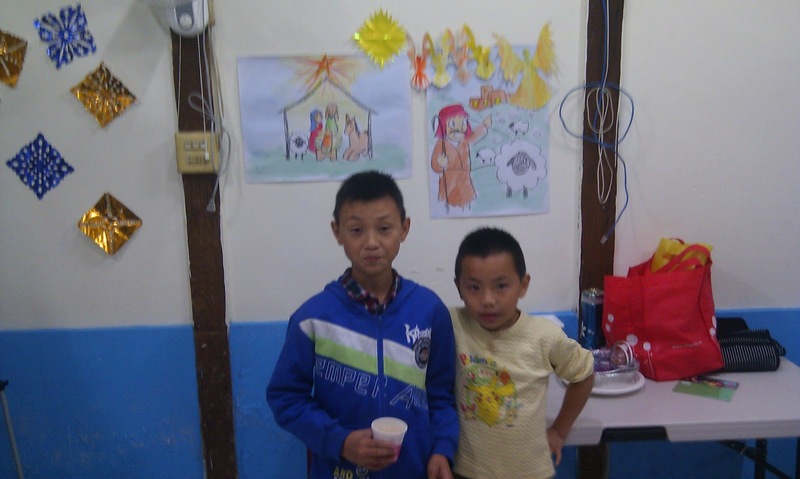 She has been with VOICE Missions in Taiwan since February, 2011, and has worked at both the Yunlin and Chiayi team locations. Some of her favorite places to visit in Taiwan are in the mountains, such as Alishan national park. She enjoys, hiking, drawing, and Studio Ghibli films.